Join Us! Spotlight Awards Event November 7! Join business and communication leaders from across Oregon and Southwest Washington to network and celebrate at the Annual Public Relations Society Oregon Chapter Spotlight Awards Celebration. This year’s annual Spotlight Awards dinner celebration will be held Wednesday, Nov. 7, from 6-9 p.m. at the Multnomah Athletic Club Ballroom to recognize excellence from agencies, corporate, nonprofit and sole practitioners. *Spotlight Awards event registration is now closed. For any registration inquiries past this point, please email[email protected] and we will do our best to accommodate you. Thank you for your understanding that no refunds past Nov. 2 are not available, due to confirmed event and catering commitments. Thank you. 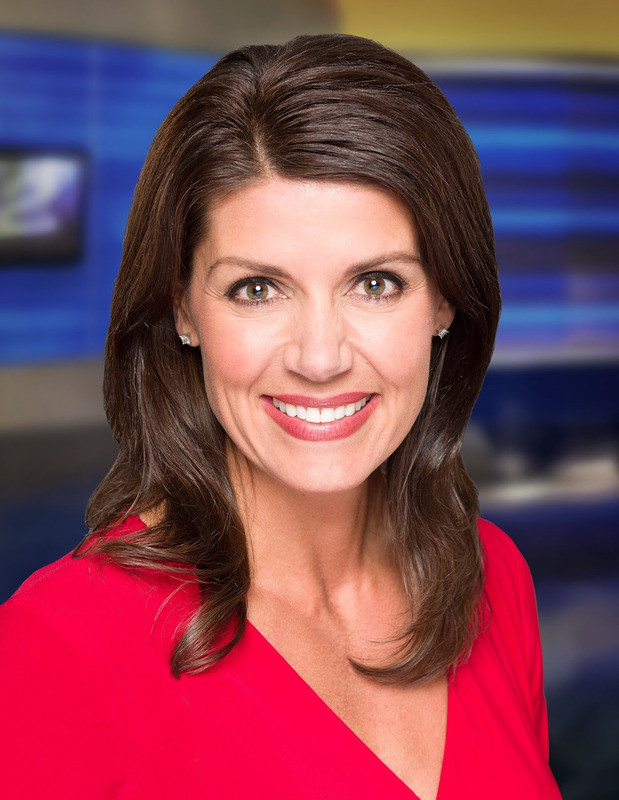 Longtime Portland news anchor and reporter Amy Troy will emcee this year’s awards celebration. Troy’s career as a news anchor and reporter has spanned 26 years with time at KGW, KOIN, and, most recently, KPTV. The 2018 PRSA Oregon Spotlight Awards volunteer committee is chaired by Madeline Turnock, APR, and includes JoJoe Nujoy, Thelma Hale, Denise Fornberg, Meghan Zea, McKinsey Redmond, and Vicki Guinn. The evening includes networking, a buffet dinner with one drink ticket, cash bar, and awards program. Early bird pricing for tickets: $65 for members; $75 for non-members; and $500 for an 8-person table. Don’t delay, buy your tickets today. After Sunday, Oct. 28, ticket prices will increase to $90 per individual; $600 per table. Attire is professional or cocktail. Table sponsorships are offered in two levels: $250 for a two-seat table and $750 for an eight-seat table. Sponsorships confirmed by Oct. 12 will receive mentions in pre-event promotions, a stage mention and inclusion of name or logo in the printed program. For more information on becoming an event sponsor, please email [email protected]. https://prsaoregon.org/wp-content/uploads/2017/05/PRSA-Oregon-OFFICIAL-logo-300x145.png 0 0 ginawilliams https://prsaoregon.org/wp-content/uploads/2017/05/PRSA-Oregon-OFFICIAL-logo-300x145.png ginawilliams2018-09-20 12:59:122018-11-13 00:05:09Join Us! Spotlight Awards Event November 7! We provide objective counsel to those we represent. We are accountable for our actions. Part three of our six-part series highlighting the PRSA Code of Ethics principles. Twenty years ago, PR staff weren’t in most of the rooms where C-suite leaders were making important decisions. Today, smart organizations know that to succeed, PR not only needs to be in the room, but will provide counsel to help them make better decisions that may ultimately drive strategies. When we take on a new client, we commit to serve them as an independent resource. We aim to tell them the truth and give them our best advice, no matter what. Our role is listen and ask, to discern and consider, and then to provide objective counsel—even if they or their stakeholders don’t like it. I once had a manager who coached me to, “Always remember your first instinct.” It was good advice, and is something to always come back to before making recommendations. Another leader came into our organization, looked around and observed, “There’s not enough gray hair in this department.” She was right: Experiences matter in PR, and every project, announcement, issue and crisis we work on makes us better practitioners. Independence from our own biases needs to be consciously considered as well. As counselors, what don’t we know? What view isn’t represented and being considered? Whom else should we consult? Have we included diverse voices and backgrounds? Independent counsel and expertise is what clients pay us for, and we must be accountable to them and ourselves. If we don’t deliver the goods (and sometimes, the bad and the ugly), we’re not doing our jobs. Why is it hard for some organizations to be transparent with media? Honesty is always the best policy, as everyone knows. Not only do consumers prefer brands that are truthful, the PRSA Code of Ethics calls for it. What’s a PR practitioner to do? If it’s a legal or personnel issue, and your organization has a policy of not publicly commenting such matters, you can say that with complete integrity. But in other cases, it’s more complicated. Saying “no comment” is a comment it itself − one your client may not want to see when published. Advocate for transparency so the organization can shape the outcome rather than allowing others to manage the message. Be ready with a pre-approved reactive statement to be shared only when asked by media. Advise that if the company is addressing the issue on social media, those comments may be included in the media story because reporters gather information everywhere. When asked by media for a for a point of view, share the social statement. Remind your client that they came to you to build visibility and they’re being giving an opportunity to share their point of view. Perhaps over time they’ll become more comfortable publicly taking a stand. When unsure what to do, turn to the Code of Ethics for guidance on ethical practices. Honesty and integrity are among a successful PR practitioner’s most important assets. Ethics and decision-making go hand in hand. Next time you’re challenged with making a tough choice at work, consider the six core values in PRSA’s Code of Ethics: Advocacy, Honesty, Expertise, Independence, Loyalty and Fairness. This is the second entry in a six-part blog series spotlighting these values. We serve the public interest by acting as responsible advocates for those we represent. We provide a voice in the marketplace of ideas, facts, and viewpoints to aid informed public debate. We are advocates for our clients and employers when we put their interests first. We are responsible advocates when we also consider the interests of their publics. The foundation of our profession is mutually beneficial relationships. Consequently, we’re obligated to make a committed effort toward achieving mutual benefit. While the balancing act between institutional interest and public interest can be tricky, it’s always necessary. Don’t be discouraged when compromise is the result of a difficult decision. In fact, strategic adaptability is critical to long-term success. Without a doubt, the recent demise of British agency Bell Pottinger will be used as a case study for what not to do when it comes to ethics in public relations. Their destructive advocacy on behalf of clients is what PRSA has been combating since its inception. Read PRSA Chair Anthony D’Angelo’s take in his letter to The New York Times. On the opposite extreme, Johnson & Johnson’s Tylenol recall nearly 40 years ago cost the company millions of dollars when it made public health and safety a priority. This classic crisis management case reminds us that putting public interest ahead of profit can pay off in the long run.